HARLEM — The developers who say they must demolish the Renaissance Ballroom because it’s too dilapidated and unsafe to restore will honor the historic structure with a new design. 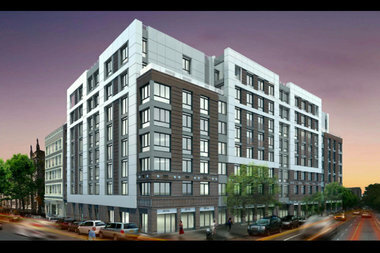 BRP Development, which bought the building on West 138th Street and Adam Clayton Powell Boulevard from the Abyssinian Development Corp. for $10 million, met with local preservationists to redesign their 8-story, 134-unit development. The new design was unveiled Thursday evening at a Community Board 10 meeting. BRP’s original design was sleek and modern with metal panels on the facade. The new design will incorporate architectural elements from the Renaissance Ballroom, Flournoy said. Although none of the ballroom’s original material will be used, the building’s facade will now include bricks that are the same sizes and colors of the original, diamond mosaics at the top of the second floor and a brick band crowning the building, he added. When the demolition plans were filed in November, preservationists spoke out against the development. They criticized the previous owners, Abyssinian Development Corporation and local politicians for preventing the building from being landmarked and allowing the building to fall into disrepair. But the developers stalled the tear-down to work with preservationists. Over the last two months BRP has met with them to come up with the redesign and both parties seem to have come to an amicable compromise. 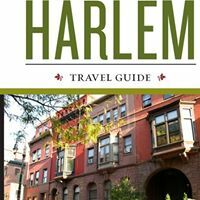 The community should view this as a wake up call of what can happen to Harlem’s historic buildings when they are not protected, said Connie Lee of the Marcus Garvey Park Alliance. A member of the “reasonably unhappy group” was Michael Henry Adams, a historian who has been protesting the demolition of the Renaissance Ballroom every Sunday since demolition plans were filed. The Community Board’s Land Use committee chair Brian Benjamin praised the developers for coming to the table. The building is not landmarked and they do not need approval to build their development.